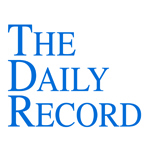 This week's Daily Record column is entitled "Lawyers (and millions more) love their iPads." Approximately 14.8 million iPads were sold in 2010, with 7.3 million being sold in the last quarter of 2010. According to industry estimates following Apple’s fiscal fourth quarter financial results earlier this month, 11.12 million iPads were sold during that quarter--a 166% increase from the same quarter one year ago--and nearly 25 million iPads have been sold thus far in 2011. That means since the iPad was introduced, just 1.5 years ago in April of 2010, nearly 40 million iPads have been sold. The bad news is that my that my prediction, made in this column in March 2011, was way off base. I had predicted that 22 million iPad2s would be sold by the end of 2011. Obviously my prediction came in far too low, especially since the holiday season is just around the corner and nearly half of all iPads sold last year were sold during the last quarter of 2010. While it’s a great entertainment device, importantly, the iPad isn’t being used for just fun and games. As reported during Apple’s fourth quarter results call, 92% of Fortune 500 testing or deploying iPads – up from 86% last year--and iPads are now being distributed in 90 countries. And, it’s not just private businesses that are using the iPad. As a reader recently brought to my attention, according to internal agency records available at governmentattic.org, a number of governmental agencies are considering the utility of iPads for their employees, including the National Archives and Records Administration (NARA), Tennessee Valley Authority (TVA), National Highway Traffic Safety Administration (NHTSA), Federal Trade Commission (FTC), just to name a few. Lawyers are using the iPad, too. 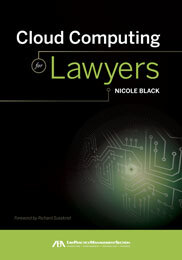 According to the 2011 ILTA/InsideLegal Technology Purchasing Survey, which examined the purchasing trends of law firms with 50+ Attorneys, 25% of respondents said that the iPad would be one of the major technology purchases over the next 12 months, 11% of firms had already purchased iPads for their attorneys, and 55% of surveyed firms reported providing IT support for employees who purchase and use their personal tablet devices. But wait, there’s more! According to the 2011 ABA Legal Technology Survey, the iPad is used by 89% of those lawyers who use a tablet device for work-related tasks and 15% of respondents used a tablet to conduct work while outside of their primary workplace. For firms with over 500 attorneys, that number increased to 26%. It’s hard to argue with statistics like that. When the iPad first debuted, naysayers wrote it off as a silly toy. What they failed to appreciate was that the utility and flexibility of this device would quickly make it an indispensable part of our personal and business lives. In a little under 2 years, 40 million of these devices have been sold, with millions of other tablet devices in circulation as well. Such a rapid proliferation of a device that didn’t even exist prior to April 2010 is a clear indication that tablet computers aren’t a fad or a “silly toy”; they’re an indication of what’s to come.